I don’t shoot weddings very often. In fact, I don’t even advertise myself as a wedding photographer. But when a friend asks for a favor because her father, who is a photographer, is IN the wedding, you make an exception! The wedding and reception were on the property of Stephanie’s new in-laws and it was absolutely beautiful. The ceremony was held on the family’s waterfront property and the reception took place in the tented backyard of the main house. 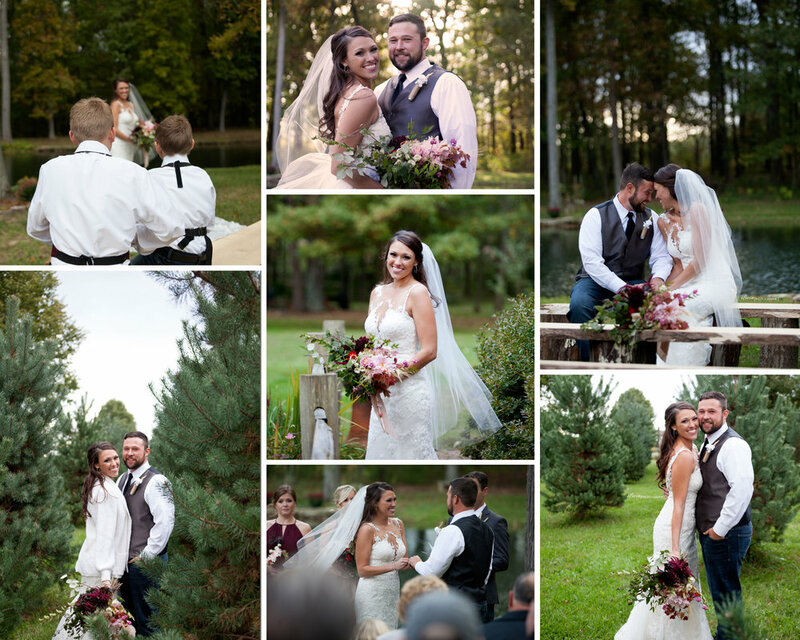 To get from the ceremony to the reception, we passed through the property’s tree farm and took portraits! Hair and makeup were provided by Hey Pretty! Beauty. Did you know Hey Pretty! Beauty has their own skincare line? You can contact info@heyprettybeauty.com to get your hands on it! When Hey Pretty! Beauty gets new team members, they put them through a trial and I was there to photograph this one! Erin and Kirstin got to practice on a real trial for HPB bride! 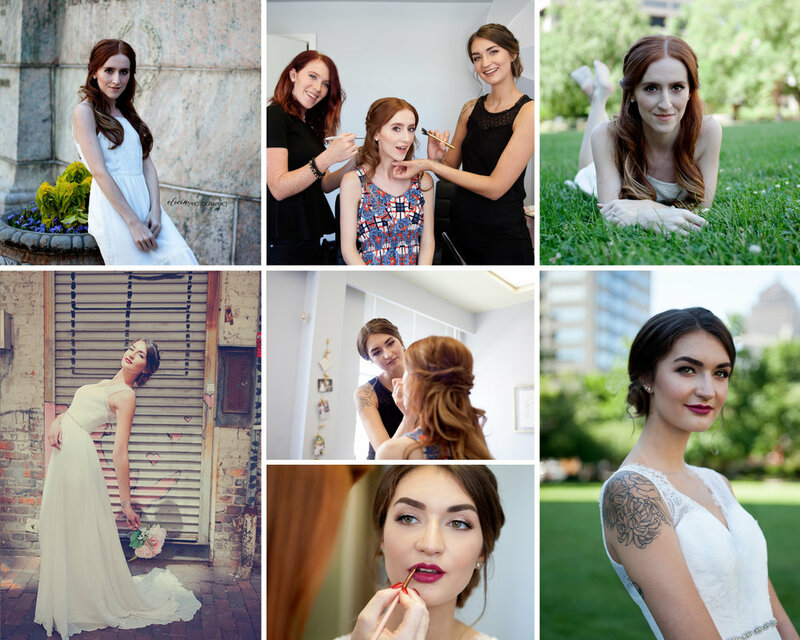 Then, we went out downtown to shoot some bridal portraits.